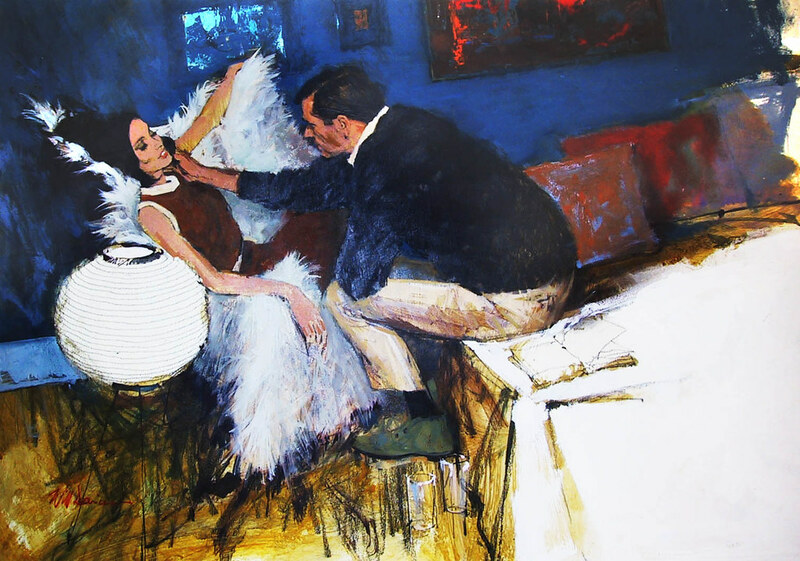 Will Davies once told Studio magazine, "I grew up during a romantic era." 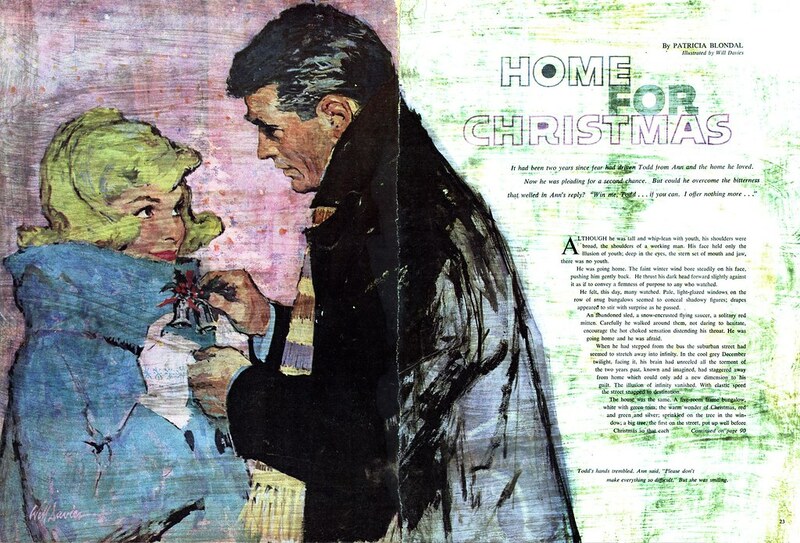 A child of the 30's, Will went on to admire the romance art being done in American magazines during the 40's and 50's. Canada offered few such venues but what publications there were could not have asked for a more eager or talented artist than Will Davies to illustrate "the clinch". One year his art appeared in 11 of 12 issues of Chatelaine. 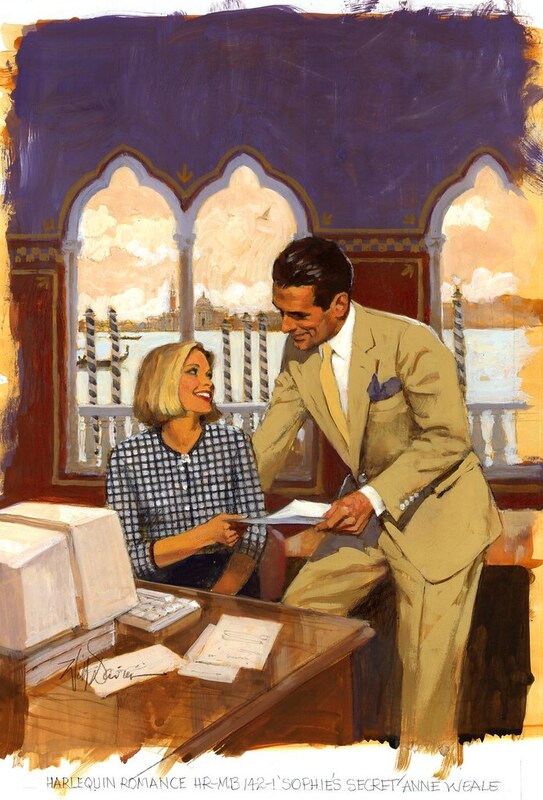 Will figures that's how Harlequin Romance senior art director Charles Kadin first saw his work. That first commission from the publisher would lead to a 25 year "marriage" of two or three cover assignments a month, every month. Kadin, whom Will still socializes with (they will be co-judges this summer at an exhibition of aviation art) had four or five art buyers/junior ADs working under him, such was the volume of books Harlequin was publishing. "We were all doing them [the covers] back then," says Will, "they started out at about $800 or $900 but gradually we got the price up to where it ought to have been: around $2,500 each." Will particularly enjoyed the handful of wrap-around covers he did for Harlequin but the publisher ultimately went with the more realistic, oiled-skin style that was becoming increasingly popular with many readers. "Charles told me he fought for me." But in the end the publisher had to go with what the market wanted to buy. Of those more realistic illustrators, Will told Studio magazine, "They do a beautiful job. Quite a different way of painting. I can't do it that way." Just as his American counterparts in New York were hiring top fashion models to pose for their romance scenes, Toronto's top modelling agencies found a steady client in Will Davies. Beautiful strangers in mock embrace, photographed against the rough background of Will's studio, were magically transformed on his easel into passionate lovers in exotic locales. "Illustration," says Will, "is fantasy. Illusion." 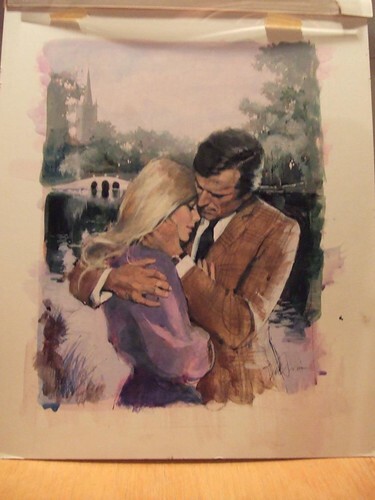 When I interviewed Will for this week's posts, it occurred to me that those many romantic paintings, first for Chatelaine, then for Harlequin, must have provided him with the outlet he had been denied all those years ago in New York. I asked him if that was the case. He told me plainly, "That's right." Coby Whitmore, Joe Bowler, Joe DeMers and the others Will had so admired might never have known Will Davies or his work, but Will had found his own way to stand quietly shoulder to shoulder with them as an equal. 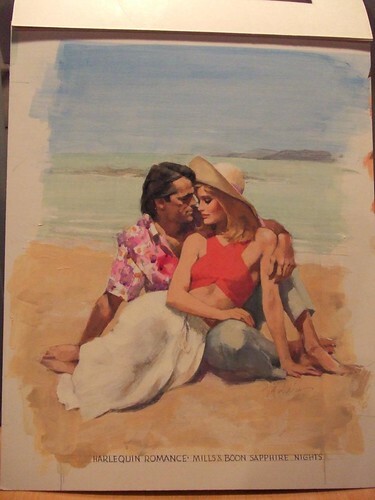 * For 25 years Will painted 2 or 3 covers each month for Harlequin Romance. He still has many of his originals. Will has agreed to make some of them available for sale. Serious inquiries can contact me and I will put you in touch with Will's wife. hey, great website - all interesing and great stuff - you have a lot of fun stuff on your flikr site - thanks!